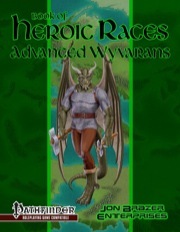 Incase you are unfamiliar with the wyvaran race, you can find their racial abilities here at JonBrazer.com. At the same location you can also get some other excerpts from the book. The wyvaran, forged by the Tinkerer from kobolds and wyverns in the magical forge known as Cauldron (no, not the city in the Volcano!) 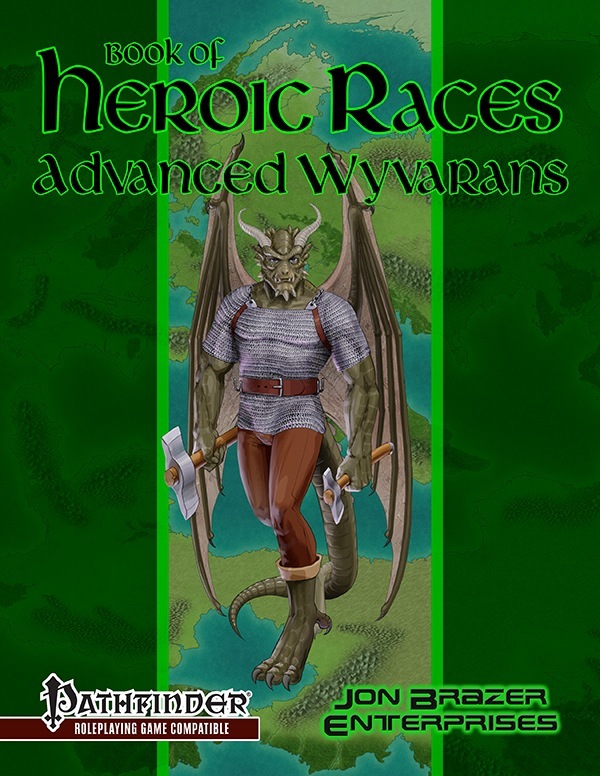 come with a slew of alternate racial traits that include honoring the trapmaking of their kobold forebears, poison glands, better darkvision and fast healing when taking electricity damage - thankfully with a daily maximum to avoid infinite healing exploits. The class options include the intuitor investigator, who replace Inspiration with Intuition (which is governed by Wisdom, as are other class features). Regulator rangers replace the druid-y components of the ranger with warpriest tricks, while stormlancer cavaliers gain either the Air or Weather blessing and flight-enhancing tricks instead of the whole mount/charge-tree - cool one! Skylord monks lose fast movement and slow fall in favor of better flight options. The wyvern bloodline allows, among other things, a bite and the option to assume a semi-wyvern form at higher levels. Including poison. The racial feat array includes several ones that enhance flight as well as options to use wings defensively and the option to use tail or wings for attacks - cool: These are properly codified as secondary/primary natural attacks. The equipment section sports shrieking armor (which makes a ruckus when charging) and there are two racial deities provided. Reaper clerics can deliver inflict spells via weaponry and they can use their scythes to generate arcs of energy that are half negative energy and half "pure force" - does that mean force damage? I'm honestly not sure, but either way, losing a domain and channel energy makes for a viable trade-off for these potent tricks. The racial spells include the 9th level pillar of doom, which is pretty damn badass (it can explode or topple) as well as the updraft cantrip, which can help while flying. The magic items this time around are less interesting in my book, offering a crown that causes panic, a morningstar with form of the dragon I - you get the idea.